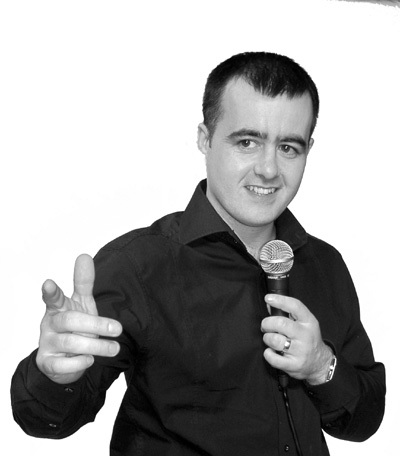 Oldham comedian Chris Roche started performing stand-up in April 2003. His cheeky tales of growing up in Oldham, the frustrations of fatherhood allied to sharp observational and topical humour have been a hit with audiences far and wide. Chris can do opening 20s or main support and recently supported Jason Manford on the tour of his Perrier nominated show Urban Legend. Recent paid work includes The Frog and Bucket, XS Malarkey, The Iguana Bar (Manchester) The Stand (Edinburgh), Jesters (Bristol) The Glee (Cardiff) and a variety of Mirth Control venues. In 1999-2000 he was a topical writer on 2 Channel 4 comedy shows - The 11 Oclock Show and The Richard Blackwood Show. Finalist Leicester Mercury Comedian of the Year 2004.